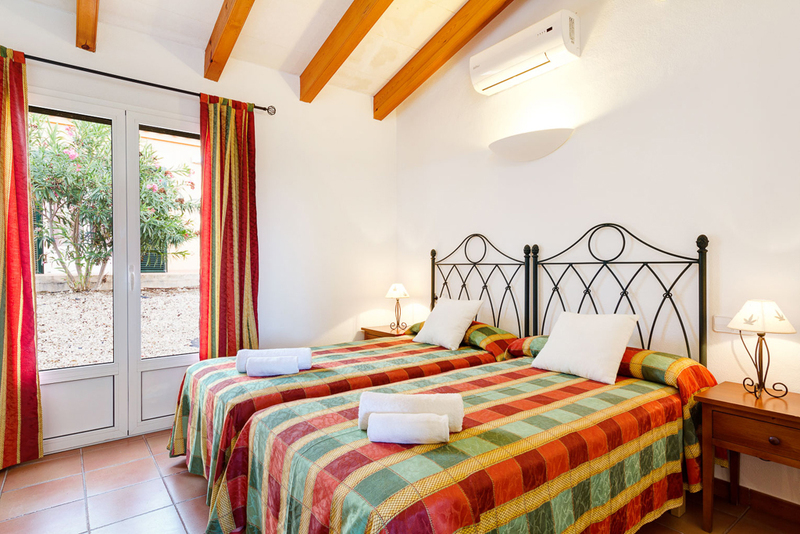 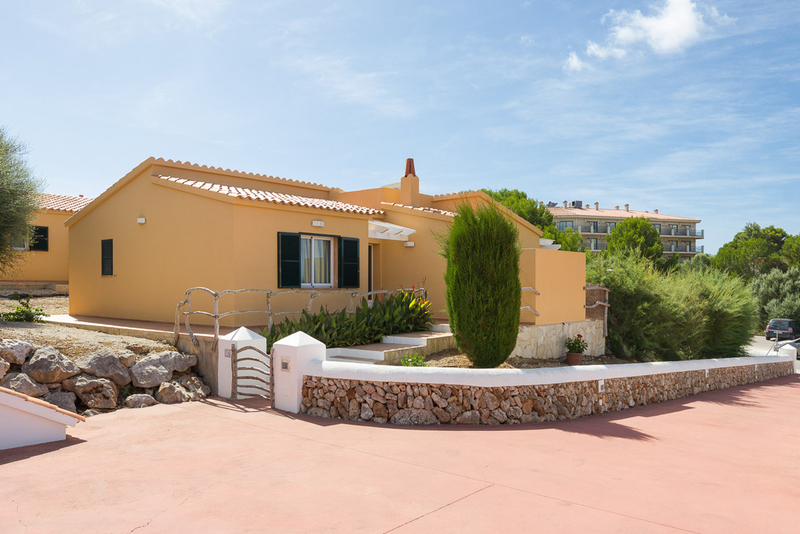 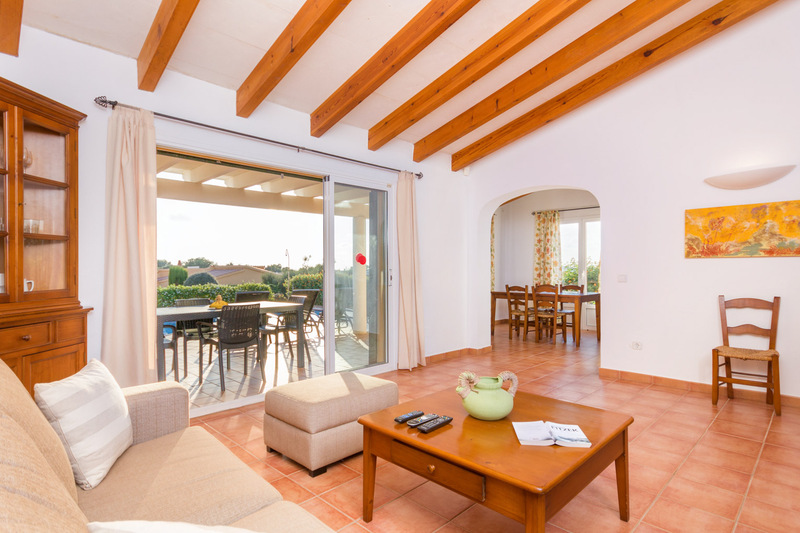 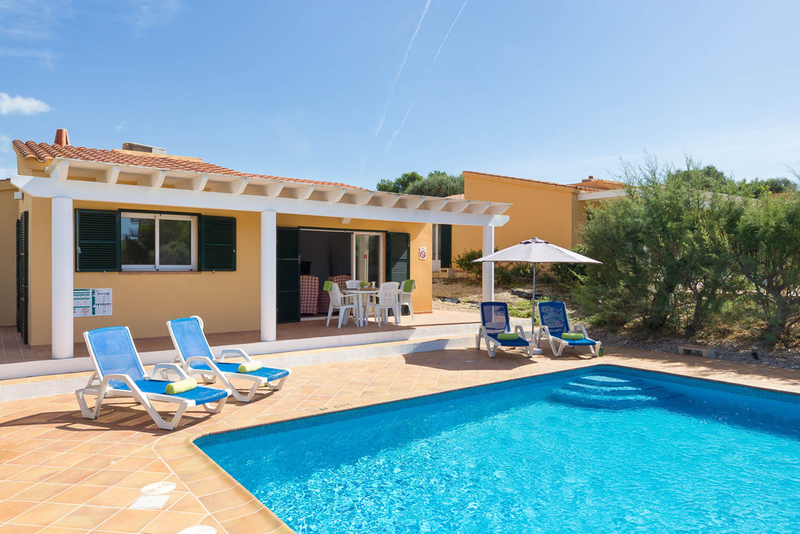 Situated in the quieter green belt area and some two kilometres from the beach car park and 1800 metres from the popular commercial area of Son Bou, the Villas Menorca Sur are a very pretty and picturesque development of modern villas. 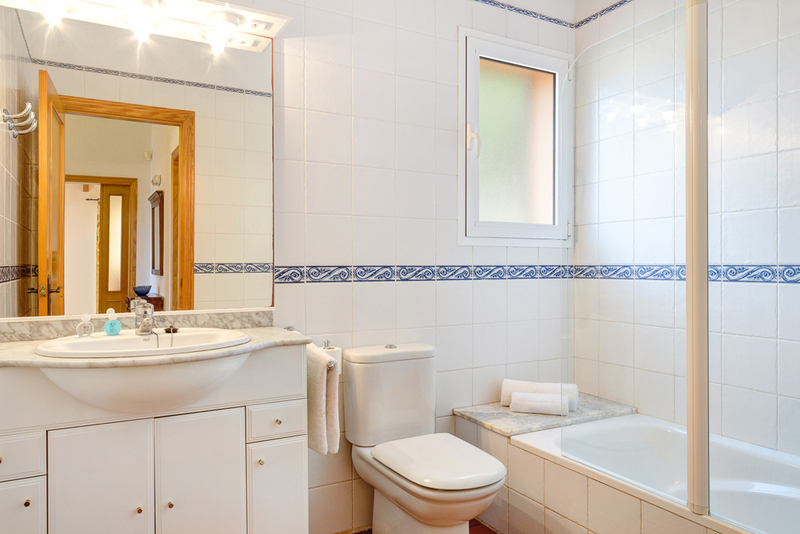 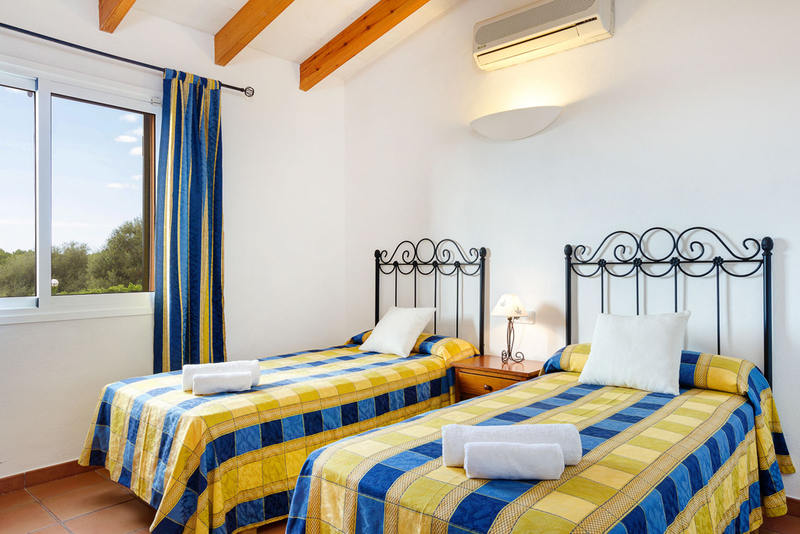 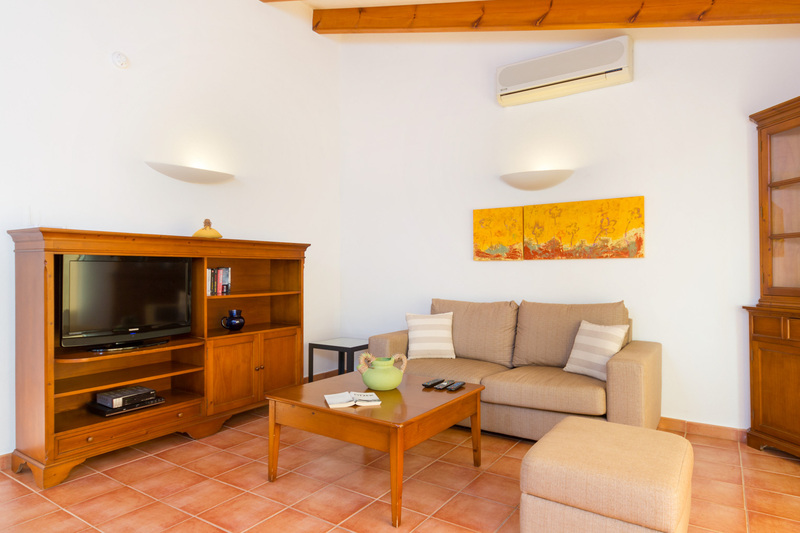 Each has air-conditioning/heating units, 32" flat screen satellite TV, DVD, WiFi, alarm and private pool surrounded by picturesque gardens and grounds. 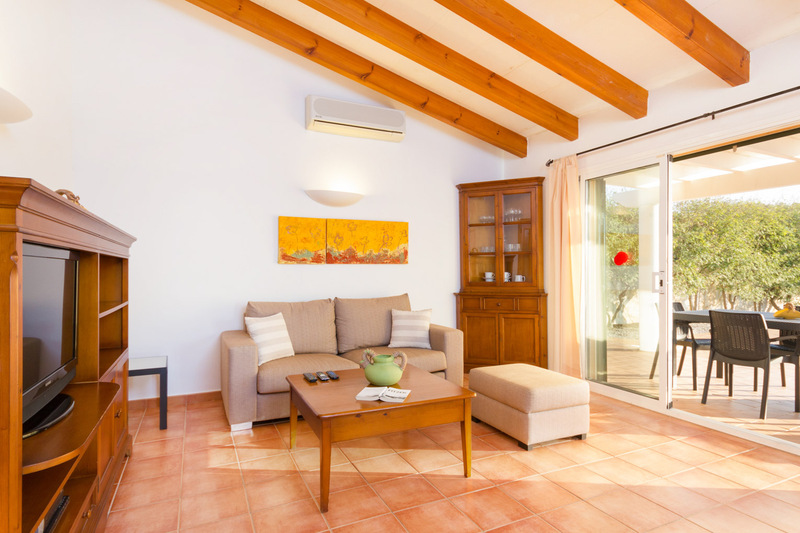 The interior of each villa offers a comfortable and spacious lounge/dining room with satellite television and patio doors which provide access to the terrace. 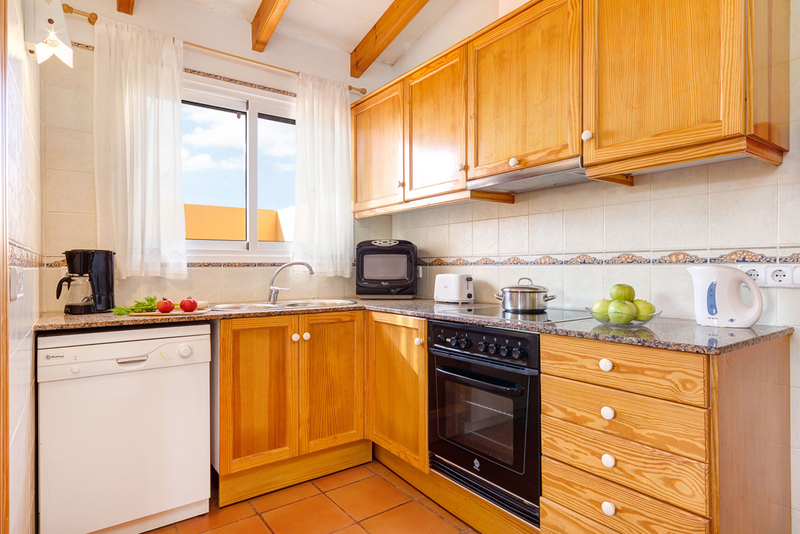 The separate fully fitted pine kitchen includes a dishwasher, washing machine and microwave. 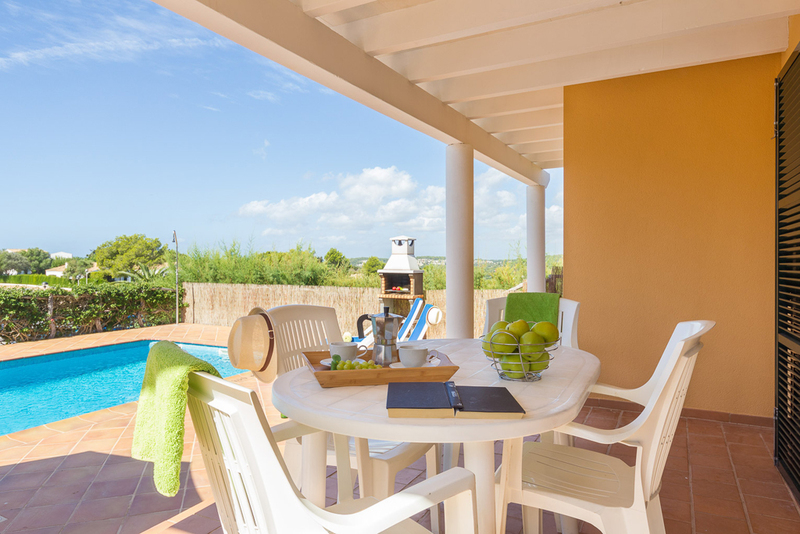 Outside the superb south facing covered terrace has summer dining facilities and a portable barbecue. 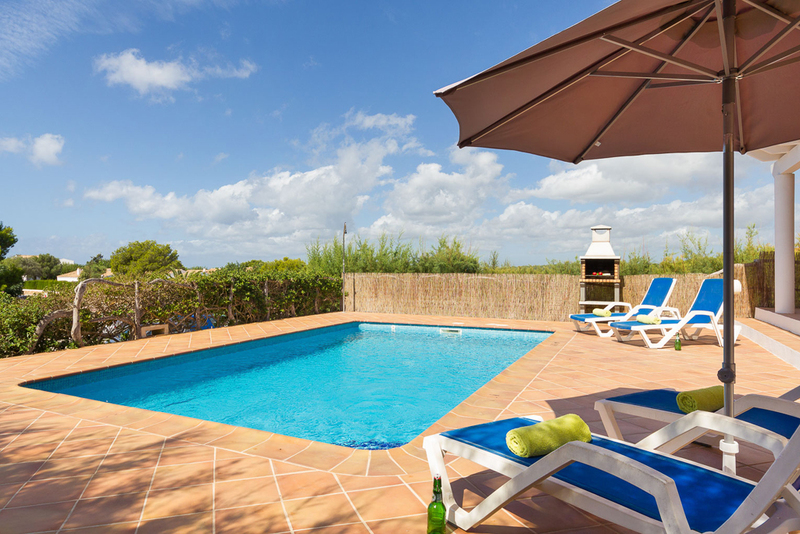 The poolside area has a nice sized 7 x 4 metre pool with a depth range of 1.60 metres in the deep end to 0.5 metres in the shallow end. 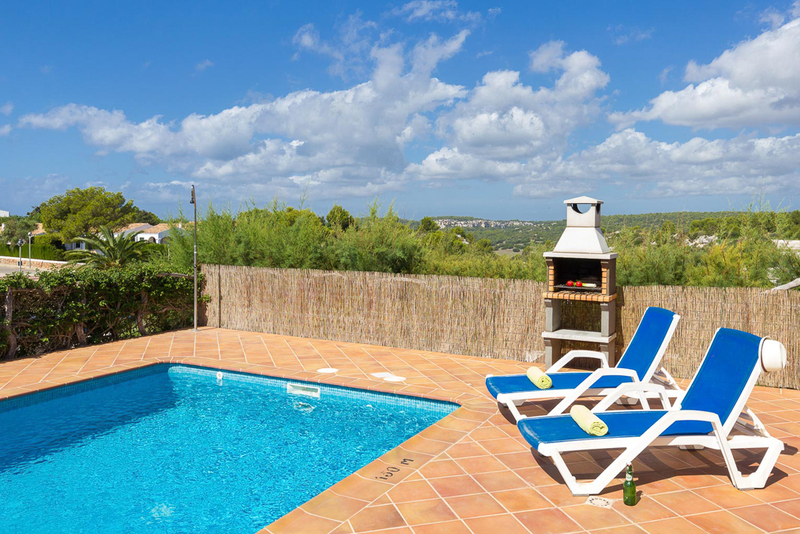 Sun beds and umbrellas are also positioned around the pool. 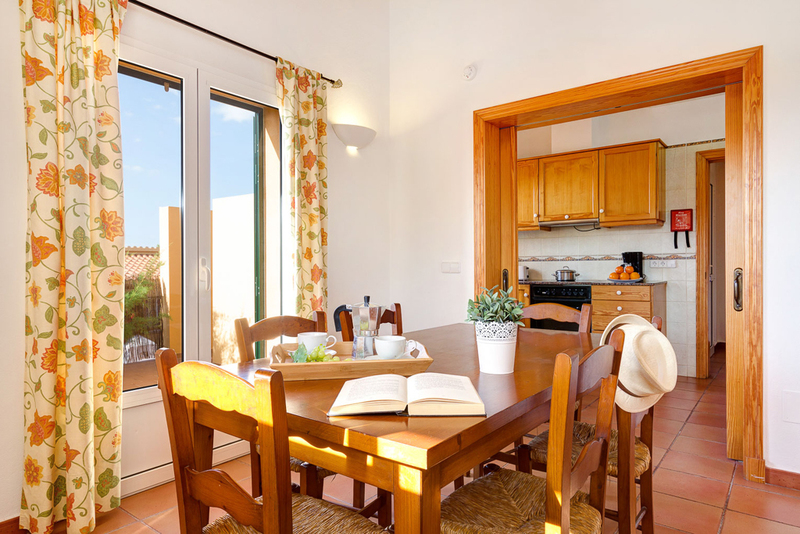 Wherever possible within the development Menorcan plants and aromatic herbs have been used to provide a picturesque and perfumed natural environment. 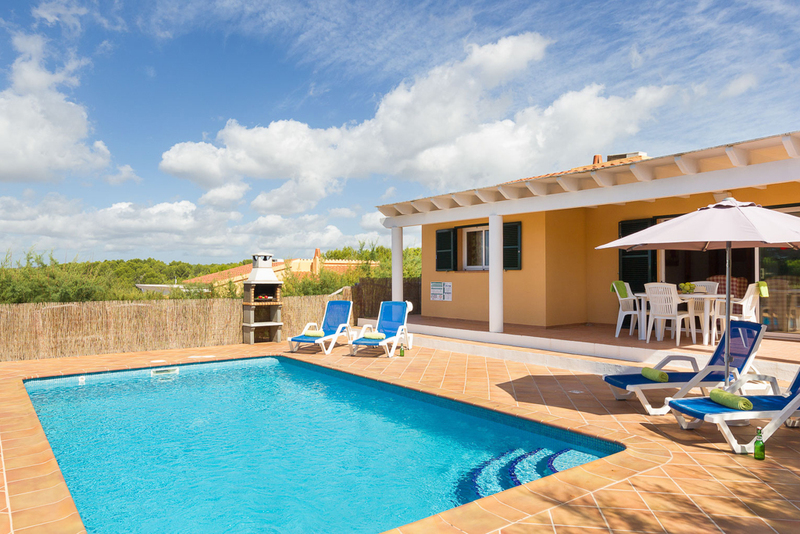 Separating the properties there is attractive hand made wooden fencing for added privacy. 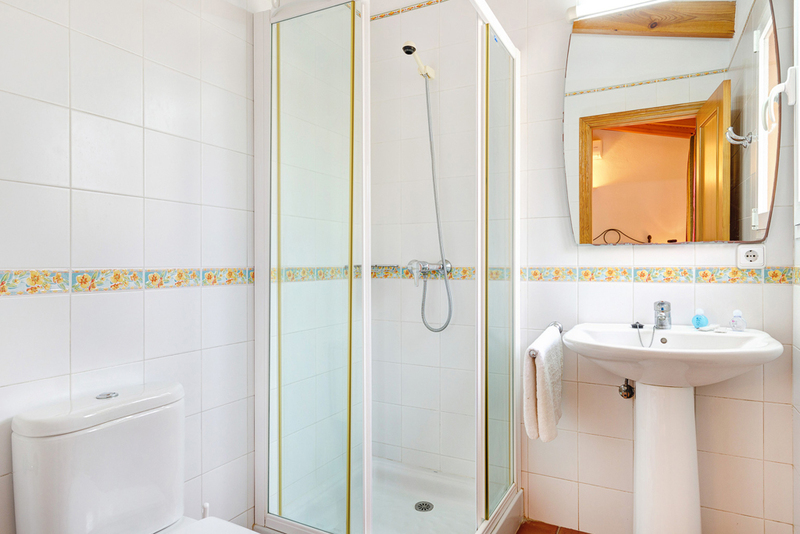 Cleaning and towel change once a week, linen change twice a week.